1833 – Lizzie’s father, Charles, runs a business from his home at 8 Kent Place. This is the home they rented from James Greenacre, who would later commit murder. 1849 – Lizzie works at Mrs. Tozer’s hat shop and is “discovered” by Walter Deverell, who paints her as Viola in his painting Twelfth Night. Lizzie is propelled into the world of Pre-Raphaelite art. 1849-50 – DGR’s portrait Rossovestita (possibly of Lizzie) is exhibited. 1852 – Lizzie models for Millais’ Ophelia. Also in this year, her brother Charles dies. Lizzie models for Holman Hunt again (for the hair of Jesus in The Light of the World). It also seems that it is some time time this year that DGR decides that he does not want Lizzie to model for any other artist. Lizzie officially stops working for Mrs. Tozer. 1852 is the first recorded mention of Lizzie’s ill health. 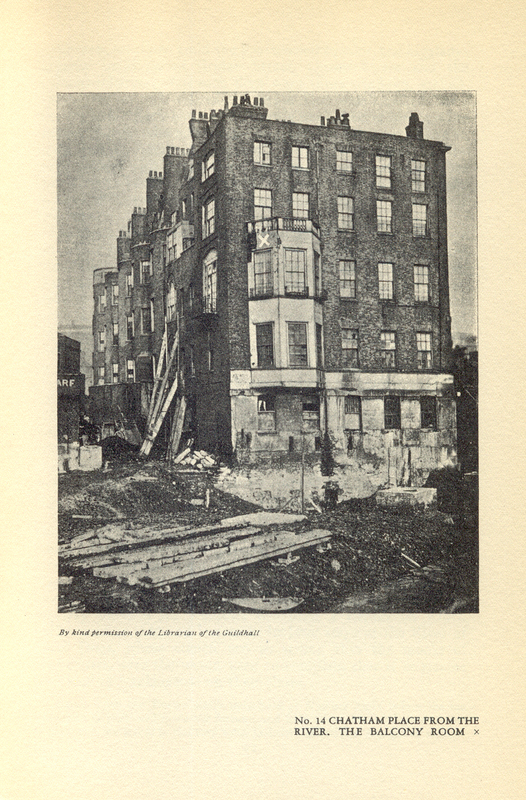 Nov. 1852 – DGR moves to 14 Chatham Place in Blackfriars, London and takes Lizzie on as a pupil. March 28, 1854 – DGR introduces Lizzie to his sister Christina. By this time, according to Lucinda Hawksley’s book, their friends had recognized them as a couple for two years. 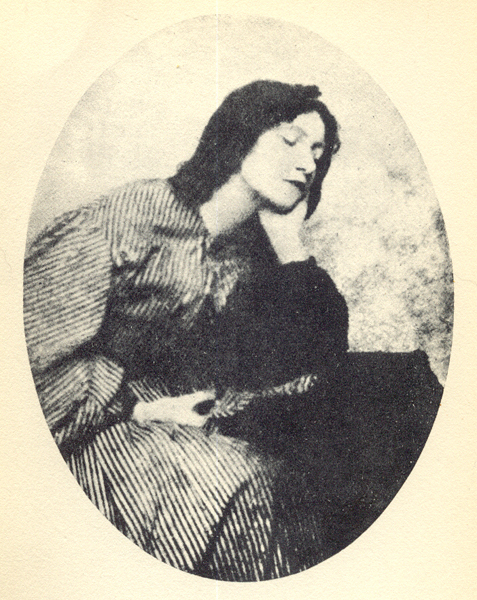 1854 – Lizzie’s poem Fragment of a Ballad possibly written (Lucinda Hawksley’s biography is my source for this date. I have never seen dates for Lizzie’s poems in any other source). Deverell dies in 1854. Anna Mary Howitt and her sister persuade Lizzie to see a doctor (Dr. Wilkinson) for her health. Also that year, Lizzie travels to Hastings for her health (encouraged by Barbara Leigh Smith). DGR’s father dies. Instead of staying with his family, he joins Lizzie in Hastings as soon as the funeral is over. Also this year, Lizzie starts her illustration of Clerk Saunders. 1854 continued – After returning to Chatham Place, Lizzie starts an illustration for DGR’s poem Sister Helen. She continues in her studies as DGR’s pupil, as well as being his muse. About a week ago, Ruskin saw and bought on the spot every scrap of designs hitherto produced by Miss Siddal. He declared that they were far better than mine, or almost anyone’s, and seemed quite wild with delight at getting them. . . .
Ruskin later becomes her patron. Also in 1855, Lizzie finally meets DGR’s mother. Ruskin sends Lizzie to see Dr. Henry Wentworth Ackland in Oxford on May 21, 1855. Ruskin also finances a trip to France for Lizzie’s health. While in Paris, DGR joins her there against Ruskin’s wishes. DGR introduced her to Robert Browning. who was also in Paris, but the meeting did not go well, perhaps due to Lizzie’s use of Laudanum. Lizzie then travels to Nice, but had spent all of her money. She wrote to DGR, who had returned home. He quickly painted his triptych, Paolo and Francesca de Rimini, and sold it to Ruskin in order to bring Lizzie the money. It is during Lizzie’s travels that DGR, left home alone, met William Morris and Edward Burne-Jones. Also this year, Lizzie exhibited her work in Charlotte Street. 1856 – Sept. 8, 1856 Ford Madox Brown records in his diary that Rossetti has given up Annie Miller and is committed to Lizzie and “he and Guggum seem on the best of terms now.” Rossetti and Siddal are named as godparents to Madox Brown’s new baby Arthur Gabriel. In November DGR announces plans to marry Lizzie, but later changes his mind. A furious Lizzie leaves DGR, fleeing to Bath with her sister Clara. She refuses to see DGR, but he joins her there in December and they are reconciled. 1857 – Several of Lizzie’s paintings and illustrations appear in the Pre-Raphaelite Exhibition in Fitzroy Square, Marylebone. Lizzie was the only female artist. An American from Massachusetts purchased Lizzie’s painting Clerk Saunders. Lizzie stops taking her allowance from Ruskin. Lizzie travels to Matlock, Derbyshire and later travels to Sheffield. She attends the Sheffield School of Art. During this time DGR is in Oxford, along with William Morris , Edward Burne-Jones and others painting murals for the Oxford Union. 1857-58 (?) – DGR rushes to Matlock when he hears she is seriously ill. He continues to travel back and forth for several months. 1860 – Lizzie is extremely ill; DGR is convinced she will die soon. On May 23, 1860 Lizzie was well enough to make it to the church and she and Rossetti are married (in Hastings). They honeymoon in France. May 2, 1861 – Lizzie delivers a stillborn daughter. Lizzie continues to suffer with laudanum addiction and now postpartum depression. Sometime toward the end of 1861, Lizzie is pregnant again. February 1862 – Lizzie goes out to dinner with DGR and Algernon Charles Swinburne, returning home around 8:00. DGR leaves for the Working Men’s College. He returns home at 11:30 and cannot revive Lizzie. Help is summoned. DGR, unwilling to believe that she can not be saved, has four different doctors summoned. Each of them try and fail to revive her. Lizzie dies at 7:20 in the morning, February 11, 1862. Her funeral is held on February 17th. You can read the transcript of the inquest here. 1869 – Rossetti has Lizzie’s grave exhumed in order to retrieve the manuscript of poems that he had buried with her. I’m wondering where you found your information regarding Siddal’s exhibition of her work at Charlotte Street in 1855. Do you happen to know if this was a private or public exhibition and if any other artists exhibited with her? Thanks for your question Kim. 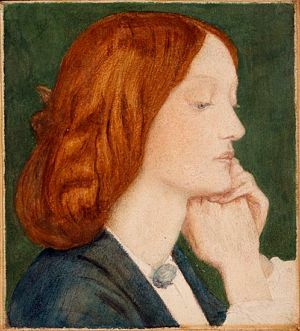 “During that spring, in her absence, Rossetti and Ruskin were busy promoting Lizzie as an artist and some of her paintings were displayed in an exhibition in Charlotte Street, London”. The passage goes on to remark on what a great achievement this was in a day and age where females couldn’t even become members of the Academy. There is no mention of any other artists involved, so I assuming that the exhibit was solely of Lizzie’s work. Keep in mind that is just an assumption on my part. This website gives the year of Lizzie’s birth as 1829. In many other websites I have researched it is given as 1828 while in others it is given as 1834. Even an excerpt from an article written by Dante’s brother, W.M. Rossetti states that Lizzie was born in 1834 and is therefore 6 years Dante’s junior. I am hoping you may be able to give me some insight into this discrepancy. Thanks! Lizzie’s birth is listed as July 25, 1829 in both Pre-Raphaelite Sisterhood by Jan Marsh and Lizzie Siddal: Tragedy of a Pre-Raphaelite Supermodel by Lucinda Hawksley. In Pre-Raphaelite Sisterhood, Marsh also mentions that Lizzie’s baptism was at St. Andrew’s parish when she was one year old. When you take into account the births of Lizzie’s siblings, the year of 1829 fits. We know their birth order: Ann, the oldest, was born in 1825. The second child, Charles, was born in 1827. Then Lizzie (1829) and another sister, Lydia, came along two years later. Mary (1833), Clara (1836), James (1838), and Henry (1842). Since more than one census record confirms the ages of her siblings who were home at the time it was taken, I believe that 1829 is the correct year. Has anyone done any genealogical research on Lizzie’s family? I’m not sure about that, Phil. I know that there is some information in Jan Marsh’s Pre-Raphaelite Sisterhood and in Lucinda Hawksley’s biography about Lizzie’s father’s background since he claimed that his line of the family should have been the legal proprietors of Hope Hall. I don’t have either of the books close to me at the moment, but i can post some information later this evening. what do you know of the Siddall’s, Phil? Are you a relative? Have you traced your own family tree? I would be interested in hearing anything you know. Lizzie’s parents: Father: Charles Crookes Siddall was Baptized July 6, 1800 in Sheffield. Mother: Elizabeth Eleanor Evans was born in 1802, married Charles Dec. 13, 1824, Hornsey Church, Middlesex. Lizzie’s Siblings: Annie Siddall, Charles Siddal (who died young), Lydia Siddall (who married a Joseph Wheeler), Clara Siddall, James Siddall, Henry Siddall. Lizzie signed her own name as “Elizabeth Eleanor Siddal” on her marriage certificate to Rossetti, so I am certain that there was not a Y in her name originally. There are census records of Lizzie’s family that spells their name “Siddall”. Are the manuscript of poems that Rossitti retrieved, still here today. If you are lucky enough to be a genealogist, you are lucky enough. 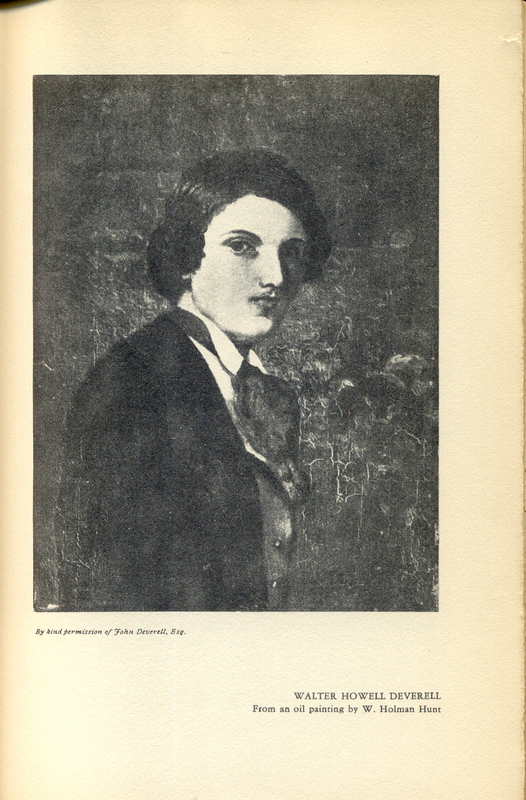 My grandmother was a Siddall and always spoke of Lizzie as if she were a rather disreputable member of the family. I suppose Lizzie’s life would have appeared that way in those days. I have traced my grandmothers Siddall line from South Wales, through Birmingham and Liverpool to Sheffield but I have not been able to find the link to Lizzie’s line. (The Siddall family tree appears to be very large and complicated.) I have, however found that Lizzie’s grandfather (paternal) was probably one Nicholas Siddall. I dont have the details with me just now but am happy to share if anyone is interested.